Klayman: Judge Boasberg Is an Obama-Appointed Political Hack Who Even Would Not Allow for the Release of the Photo of an Allegedly Dead Osama Bin Laden! He Is an Example of Why We Need Honest Non-Political Judges! Go to www.FreedomWatchUSA.org to Join Judicial Selection Strike Force! 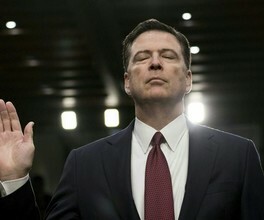 The memos James Comey made of conversations he had with President Donald Trump when he was FBI director will remain private as releasing them, "could reveal sensitive nonpublic information and compromise" Special Counsel Robert Mueller's investigation, a federal judge ruled Saturday according to a report in Politico. Mueller is investigating whether there was any coordination between Trump's campaign team and the Russian government as part of the Russian interference in the 2016 presidential election.